I wanted to nurse exclusively from the breast. Why? The honest answer, I felt I should. I saw images of mothers doing it, and I read about what a wonderful bonding experience it is for mom and child. Also, I felt going to solely pumping like my husband Bernard was encouraging, was in some way taking the easy way out or giving up. Yes, I really thought making things easier on myself would NOT be the way to go. 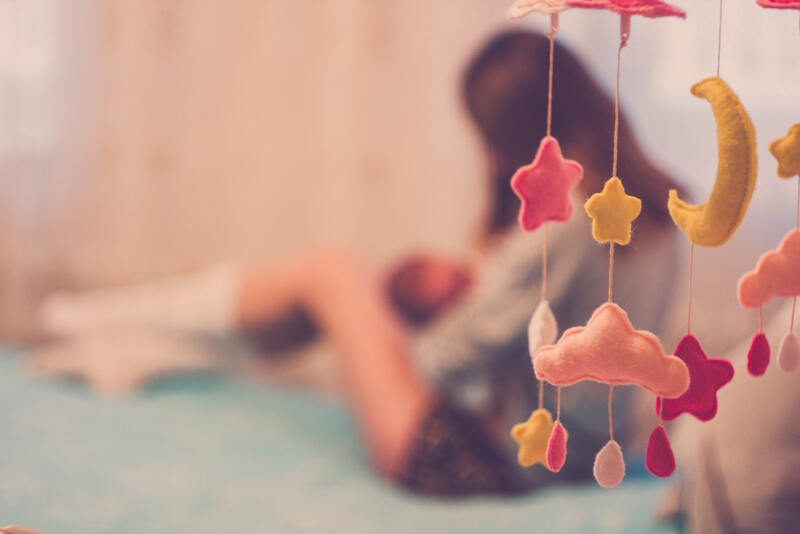 Here is the thing, breastfeeding is difficult, which everything I read pre-baby said it was; but, I naively thought I would be able to tackle this challenge because I had read up on it. The literature and lactation consultants at the hospital emphasized the difficulty but encouraged you to persevere, and I wanted to, I really did. The word “should” has been showing up all over the place since becoming a parent. I should be doing this or that. The “shoulds” plus the mother guilt contributed to my emotional meltdown that occurred in week one. Why do we feel we should be doing one thing or another? I partly blame social media. We see other people: friends, family, celebrities, strangers all capturing these idyllic images of their lives and we believe that to be the standard at which to measure ourselves. A more profound and raw answer perhaps is that we do not feel confident in who we are, what we are doing, and how we are moving through life. In addition to not feeling confident, we worry we are going to be judged by others if we make the wrong decisions. I am not afraid to admit; these reasons were why I was so opposed to switching to exclusively pumping. I saw on social media all these mothers breastfeeding effortlessly, or so it appeared. Rationally, I knew I didn’t see the challenging moments, or sobbing moments, these images were likely edited and captured at just the right time. But still, the images aided the standard I was setting in my mind. I also do not feel confident in my parenting because I have never done this before and I have no way of knowing the outcome of my choices. It is like rolling the dice in a craps game, but the stakes are so much higher. So how did I find what works best for Bernard and me? I asked myself what I cared about the most when it came to breastfeeding. What I was most concerned about was that my son was getting the nutrients from the breastmilk and that he was drinking only breastmilk. For the record, if you feel feeding your child formula is what works best for you, by all means, do that – I am merely stating what was most important to me. Establishing what I cared about the most helped me to realize that all the other cares and worries were from some societal precedent I was putting on myself. I was not a bad mom for choosing to pump exclusively and feed my son breastmilk from a bottle. I also wasn’t losing some imaginary competition I had created in my head. 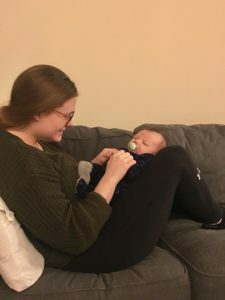 Pumping allowed my son to get the nutrients from breastmilk, it enabled Bernard to help with feedings, and it let us get more sleep which in turn I believe has made us better parents. I also came to an understanding with myself that I will likely get judged by others for my parenting choices and I will probably make mistakes as a parent, and that is okay. What is important is that I don’t let the judgment of others shape how Bernard and I choose to parent our son and that we do the best we can. How often do you use the word “Should“? If it is a lot, ask yourself why you feel you should or shouldn’t be doing something? If it has to do with anyone else but yourself, let it go and do what is best for you. You may find doing so yields a better outcome. This entry was posted in Mamas and tagged breastfeeding, fatherhood, fathers, Mamas, motherhood, mothers, parenthood, parenting, self-love, self-reflection.